What got me thinking about this was the July 21 episode of This Week in Google and the very interesting discussion by Leo Laporte and company about attempts to capture for re-use, analysis, and publishing the “fire-hose” of behavioral and transaction data emerging from sources such as Buzz, Twitter, and Facebook. Assuming that ownership and privacy issues are addressed and such “fire-hose” sources eventually become generally available, it seems likely that any given “data stream” created from online engagement will necessarily include data generated by or about dead people, especially as use of online communications continues to spread among adults. My family Rolodex, personal email list, and web based contact tracking system already include a number of family, friends, and neighbors who have died during the past few years. While I haven’t yet created folders and tags such as “deceased” to cover them, I do occasionally come across the need to refer to them. 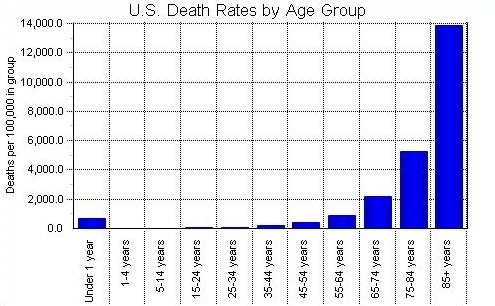 Also, if you are the parent of a teenager in high school, you are already undoubtedly aware of the very real statistics on teenage deaths from traffic accidents, drugs, and random violence. At any given time a certain percentage of online transactions in any group or “community” will be associated with dead people. Just as commercially-sold mailing lists are constantly “cleaned” to remove changes brought about by moves, jobswitching, and deaths, so too might be the case with the buying and selling of products or services that purport to represent the transactions, behaviour, or “conversations” of certain fuzzily-defined populations. Who — if anyone — will be responsible for “cleaning up” data on online transactions to ensure the transactions actually represent a “live” population? Google? Facebook? Twitter? The family of the deceased? Of course, the web is already littered by datasets, pages, and sites that are (literally) moribund due to the death or mobility of the originator, so extension of this phenomenon to web based social networks is to be expected. The Grim Reaper, after all, is always with us; think about that next time you click “reply” on Twitter! Copyright (c) 2010 by Dennis D. McDonald. Dennis invites you to comment below or to email him at ddmcd@yahoo.com. His Twitter address is http://twitter.com/ddmcd.